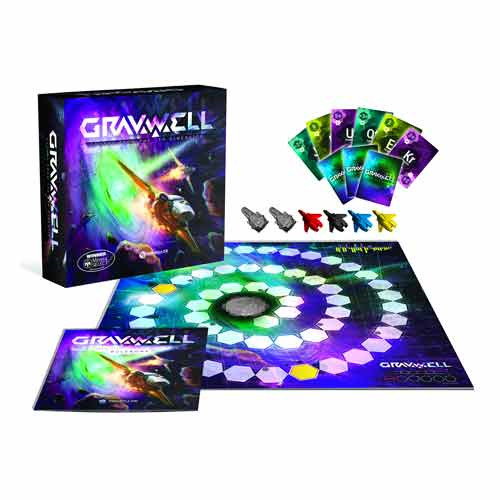 The Gravwell Escape From the 9th Dimension Board Game is an exciting mind-bender game! In the Gravwell board game you are playing against the clock as time is running out to save your ship and crew. Sometimes you'll move forwards, sometimes backwards. Ages 12 and up. 1-4 players.